There are few things as enjoyable as soaking in hot water. Muscles relax, mind empties. And in Japan there’s a lot of hot water: the whole country is in fact more or less sitting on it. Volcanic activity brings with it many problems the country has to routinely deal with it, some tragic, such as earthquakes and eruptions. But it also gifts Japan with the onsen, the Japanese spa. Here the spa originated as public baths and have their roots in a past in which not all homes had a bathroom. In public baths one cleaned himself. And the, relaxed (and warmed up a little bit as well in the meantime). The difference between onsen and public baths (sentō) lies only in the type of water. Onsen are usually easily recognizable. Outside they almost always have a symbol representing hot water, sometimes accompanied by the ideograms of the word onsen (温泉). Often there are also flags, tents or signs with the word yu (ゆ), hot water, on them. Interesting enough, Japanese has a different word for plain or cold water (mizu): it is as if it were a different thing, another state of matter. And this also indicates the importance of hot water to Japanese culture. An onsen is often a small establishment, which may be an uneven building, sometimes hidden among blocks of flats or houses. Sometimes these places have just two baths, one for men and one for women. Sometimes they also have outdoor tubs, rotenburo. An onsen ryokan (or hotel): a structure, usually quite expensive, that offers its guests a range of private or public baths (sometimes also accessible to visitors, for a fee). Are tattoos really banned in the Japan Onsen? In theory, yes, in reality not always, even if many will say there are no exceptions. The guides and many Japanese will tell you that this rule is very strict: those who have tattoos don’t enter. It is a way – as it’s generally explained – to keep out the yakuza, criminals who are generally covered with traditional tattoos. The reality is that the rule isn’t always so strictly enforced for various reasons. Sometimes onsen will decide case by case. But let’s start with my experience first. I have a couple of small tattoos not large – but not even minuscule – and in ten trips to Japan and dozens of visits to onsen and public baths of hotels – where in theory the same rule applies – I have never been denied ‘entrance’. I avoided places with ‘no tattos’ signs or that I knew were very strict about it. And every time I asked, politely, “Irezumi (or tattoo) wa, daijobu desu ka?” (Tattoos are ok?). And only in one case I was asked where it was and was told to cover it with a small towel (I will write about this item later). The other times I just got a daijobu (ok) or was just waved in. From what I understand in big places – like Oedo onsen in Tokyo – the rule is very strict. The point is that some places, though, decide, as I wrote, case by case: it might depend on how many people are inside, how big are the tattoos and sometimes the owner or cashier might just be too embarrassed to deny a foreigner the entrance. But even if you are allowed in, some customers might not like your tattoos and find it impolite. Some might complain with the owner. This is the way it goes. The point is, probably you shouldn’t even ask to be let in. Anyway, even the yakuza are entitled to a hot bath: at the Funaoka onsen in Kyoto I took a bath next to Japanese completely covered with really crazy traditional tattoos. Other than rare tattoo friendly onsen, options are waterproof tattoo covers, such as Aqua (which work if your tattoos are not big), or using private onsen, more on them in a bit. 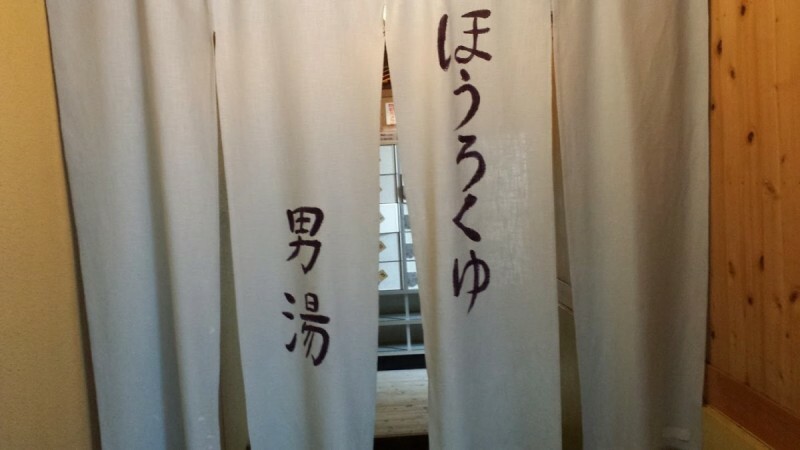 Things are slowly changing though (even the government tried, with little luck) and Kinosaki onsen opened seven publich baths to people with ‘fashion tattoos’. It can be really cheap. The entrance fee varies a lot and can range from 200 yen for simple structures to 2,000 or more for larger and more elaborate ones. This excluding the towel rental (if you don’t have one). Wash and rinse carefully. Once you enter the bath area you first go to the showers. There usually are also a tap and basin. There you wash and then rinse very carefully. Many bathrooms offer soap and shampoo, but in some cases it has to be brought from home (or purchased on site). It is better to inquire before entering. You’ll see that the Japanese regulars generally have small bags with not only soap and shampoo inside but also razors and foam for shaving. The water is always different. Each onsen has its own water. It comes out of the depth of the Earth and sometimes you will see greenish baths, sometimes the water will be of a red tone. Sometimes even the smell can be strange. Different chemistry and temperature can be beneficial to different conditions. Enter the wather slowly and carefully. After washing and rinsing with great care you can finally bathe. Please note that the water can be hot. And I mean really hot: we are talking about temperatures between 38 and 43 degrees (109.4F) or more, which is a lot. You don’t need to stay long times, just stay as long as it’s comfortable (even 5 minutes or less is ok). Out of the water. You can get out of the tub and just sit on the edge for a while or you can go to have another shower before taking another bath. 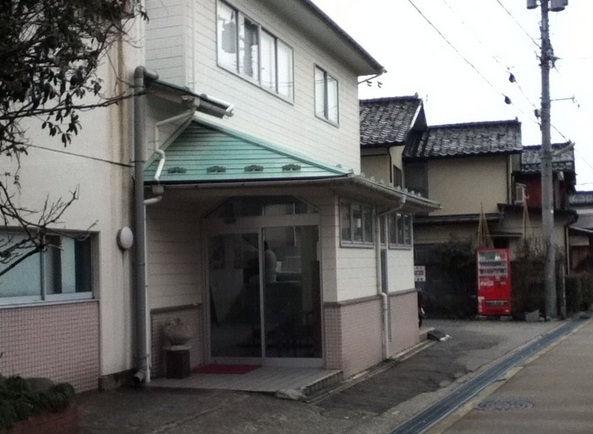 Everybody has a different routine which also depends on the facilities of the onsen. When it’s available I always dip in the cold water tub, but you have to do it slowly as it can be a shock if you go in too fast. And the outdoor tubs? They are called Rotenburo, and are my favorites. Sometimes mountain rotenburo baths will have beautiful views of forests or mountains. The water is also usually slightly less hot so you can stay longer. I especially love them in winter when it’s cold. A real pleasure. And the small towel? It is optional and its function varies: it can be used to cover in the locker room or while reaching the bath, it can be used as a sponge when washing, it can be wet with cold water to put it on the forehead. There is just one real rule: it mustn’t touch the onsen water. If you don’t know where to put it, just put it on your head or tie it around it if it’s long enough. Shall I wash again after the bath? Opinions vary on this. Some Japanese believe that you shouldn’t, otherwise you would lose the benefits of the onsen water on the skin. What are private and family onsen? Some hotels have private onsen (kazoku no yu or kazokuburo or kashikiriburo) for the use of a couple or a family only at the time. Some allow reservation but some of the times you just go and see if it’s occupied. Obviously these can be used if you have tattoos, no one will see you.You might find more info on other sites, such as the invaluable Onsen Japan. What is the best season to enjoy onsen? All seasons are good for a bath. I find it, though, way more pleasant when it’s cool or cold outside. Imagine a hot outdoor bath, in front of woods and mountains, under a gentle snowfall: this can be unforgettable. And onsen can also warm you up a lot for several hours. And indeed the tradition of hot bath – according to some – also derives from the lack of heating in the homes of the past. I haven’t been to some of the most famous places like Kinosaki onsen or Kurokawa Onsen (but I did go to Beppu) and when I went to the famous hot waterfalls of Kamuiwakkayu in Hokkaido, a sort of hot waterfall in the middle of the woods, they were closed for security reasons (falling rocks). So this list is personal, and I will updated in the future. Also, some places are in really touristy areas. In all of this places I was allowed to bathe although I have tattoos. But don’t consider them ‘tattoo friendly’ as I think most of them will decide case by case. Always ask politely. This place is very famous, it’s on all guidebooks. But it’s not a real onsen, since the water is heated and not naturally hot. It is also a bit difficult to reach as it is in a northern suburb of Kyoto. This ia peculiar place: some might find the changing rooms disturbing, as the upper parts of the walls are decorated with beautiful wooden bas-reliefs. Beautiful and violent: the problem is that if you look at them well you see that the artwork depicts soldiers who cruelly massacre enemies, some of whom seem to be Chinese peasants. The bas-relief dates back to the time of the invasion of Manchuria and that explains a lot. But it’s a really nice, and true, ancient public bathroom: it’s a hundred years old. There are no large pool-style tubs found in more modern facilities. But it has an incredible variety of pools each different: wood, hot, cold … with herbs. And it has a beautiful rotenburo, an outdoor stone tub. If you let yourself be deceived, it can really feel like being far away in the countryside. Link: Funaoka Onsen (Inside Kyoto) How to get there: Kuramaguchi stop, bus 106. Or taxi! This onsen in the hills north of Kyoto is divided in two. A spectacular outdoor pool overlooking the forests and an ugly-looking (from the outside), pool-style establishment, a hundred yards away. Obviously I chose the first, which was also way cheaper. I also wrote a post about Kurama. How to get there: By train from Kyoto. Take a train from Demachiyanagi station (not included in Japan Rail pass) and get off at Kurama. Then you can take the free shuttle or walk twenty minutes. Small onsen in a quiet area of this beautiful, and sometimes crowded, city. I imagine foreigners don’t come often to this place. It has outdoor tubs. The name is a play on words with that of the famous Kenrokuen garden of Kanazawa (The garden of the six virtues becomes the onsen of the six virtues). I really like this minshuku with onsen in the middle of Hida Takayama. Half-board (when available) offers memorable home cooking and the bathtub, with a glass door facing the outside, is small but extremely pleasant. Separate times for men and women. This big modern ryokan on the edge of Shirakawa-go is probably the less fascinating building in town. But the onsen (open to the public) is really nice. 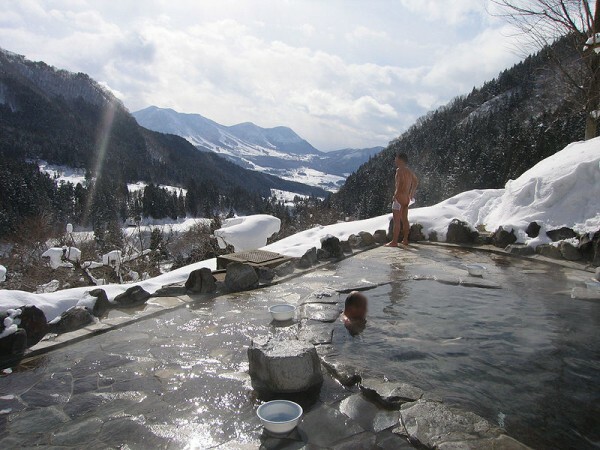 In winter, the panorama of the snow-capped mountains from the outdoor pool is priceless. .
How to get there: bus from Takayama or Kanazawa to Shirakawago-Ogimachi Book Shirakawago no yu on Japanese guesthouses. Unzen Onsen is a popular spa resort on the top of a mountain, near Nagasaki, in the Shimabara peninsula. I chose it because it was the oldest in town, but also since it was included among the ‘tattoo friendly’ by The Onsen Magazine. As a matter of fact, when I asked the old lady at the entrance for confirmation, she seemed a little disconcerted by my confession that I was, indeed, tattooed, but we changed topic quickly and she let us in. I would have hardly offended anyone with my tattoos as we were the only customers in a late winter day. 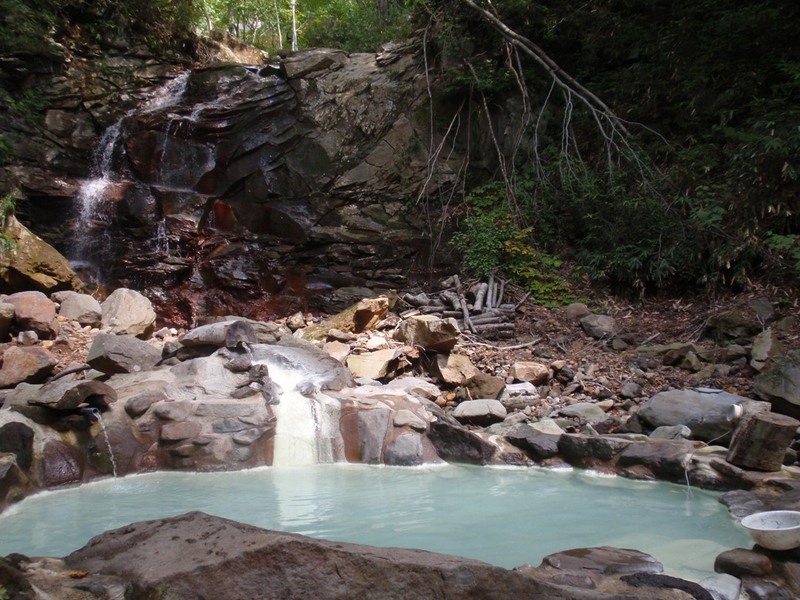 It is a small mountain onsen, very traditional and basic, with a very hot water, perhaps more than the advertised 43 degrees and slightly acidic that comes directly from the nearby Unzen Hell. The cost is negligible (200 yen, but there is no free soap or shampoo). A beautiful, no frills bath. This old Ryokan, that dates back to 1928, is a true jewel in Oita, Kyushu. I had planned to go to the famous Kurokawa onsen at the beginning, but a combination of circumstances led me to change my mind. First, for a March weekend the prices were crazy, 45.000 or 50.000 yen were the minimum for a double room. Yufuin looked even worse. And also Kurokawa onsen didn’t look tattoo friendly at all, and one of the reasons to go there is to try all the public baths. So we decided for this place (this too featured on The onsen magazine) in Kokonoe. 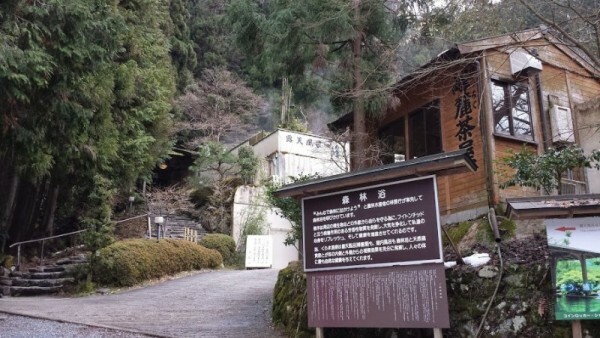 It’s a typical mountain ryokan, famous for its cold spring, but has also wo public baths and three private baths. It was amazing. And the food and the staff were outstanding. I loved this place, and these are the places that can make your trip. Kan no jigoku is not tattoo friendly, but the three excellent private onsen will be more than enough for tattooed guests.